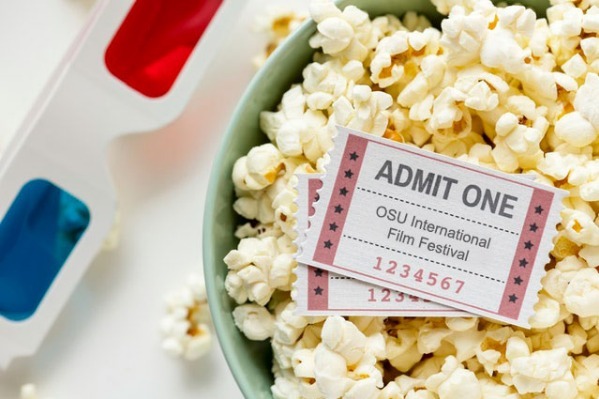 Oregon State University's annual International Film Festival, which includes 18 films from 10 countries, will be held Nov. 9-15 at Darkside Cinema and Whiteside Theater in Corvallis. The festival is organized and hosted by the School of Language, Culture and Society in the College of Liberal Arts at OSU. Since 2009, the festival has showcased different perspectives in contemporary filmmaking. The festival will open with "Berlin - Sinfonie der Großstadt," or Berlin: Symphony of a Metropolis, that will be accompanied live by the German band, ALP, which is flying in from Berlin for the event. The event, sponsored by the German Embassy in Washington, D.C., will also feature giveaways and a reception with the musicians after the screening. For more information about the reception, email sebastian.heiduschke@oregonstate.edu. Other highlights of this year's festival include "After the Storm", a 2016 Cannes Film Festival selection about a father reconnecting with his son in the days before a typhoon, and "The Second Mother," a Portuguese comedy about the life of a housekeeper. All of the screenings are free and open to the public but attendees need to obtain a ticket at the respective cinema before entering the auditorium. Tickets are limited so early arrival is encouraged. Nov. 9, 7 p.m. - "Berlin - Sinfonie der Großstadt," (Berlin: Symphony of a Metropolis), Germany, 1927, a silent film with live guitar, bass and synthesizer music accompaniment by the band ALP. Location: Whiteside Theatre (map). Nov. 10, 5 p.m. - "Usfahrt Oerlike," (Exit Oerlikon) Switzerland, 2015, drama in Swiss German. Location: Darkside Cinema (map). Nov. 10, 7 p.m. - "3 Bellazas," (3 Beauties) Venezuela, 2014, a comedy, horror, thriller in Spanish. Darkside Cinema (map). Nov. 11, 3:30 p.m. - "Rettet Rafi," (My Friend Raffi), Germany, 2015, children's film in German. Darkside Cinema (map). Nov. 11, 5:30 p.m. - "Que Horas Ela Volta?" (The Second Mother) Brazil, 2015, drama in Portuguese with English subtitles. Darkside Cinema (map). Nov. 11, 8 p.m. - "Streif," (One Hell of a Ride) Austria, 2015, documentary in English. Darkside Cinema (map). Nov. 12, 1 p.m. - "Paradise Trips," Netherlands, 2015, a comedy, drama in Dutch with English subtitles. Darkside Cinema (map). Nov. 12, 3 p.m. - "NN," Peru, 2015, a drama in Spanish with English subtitles. Darkside Cinema (map). Nov. 12, 5:30 p.m. - "Umi yori mo Mada Fukaku," (After the Storm) Japan, 2016, drama in Japanese with English subtitles. Darkside Cinema (map). Nov. 12, 8 p.m. ­- "Fukushima Mon Amour," Germany, 2016, drama in German, Japanese and English. Darkside Cinema (map). Nov. 13, 1 p.m. - "Pored Mene," (Next to Me) Serbia, 2015, a comedy, drama, in Serbian with English subtitles. Darkside Cinema (map). Nov. 13, 3 p.m. - "Pequeñas Menteras Piadosas," (The Travel Agent), documentary in Spanish. Darkside Cinema (map). Nov. 13, 5 p.m. - "Apprentice," Singapore, 2016, a drama in Malay and English with English subtitles. Darkside Cinema (map).